Ms Kok Oi Yee is one of Singapore's first woman nature guides. Her journey goes back 57 years, when she joined the National University of Singapore's zoology department at the age of 18. She was born in the jungles of Ipoh during the Japanese Occupation, surrounded by the greenery of the rainforest. Today, the circumstances could not be more different, but Ms Kok Oi Yee still goes out into the jungles. 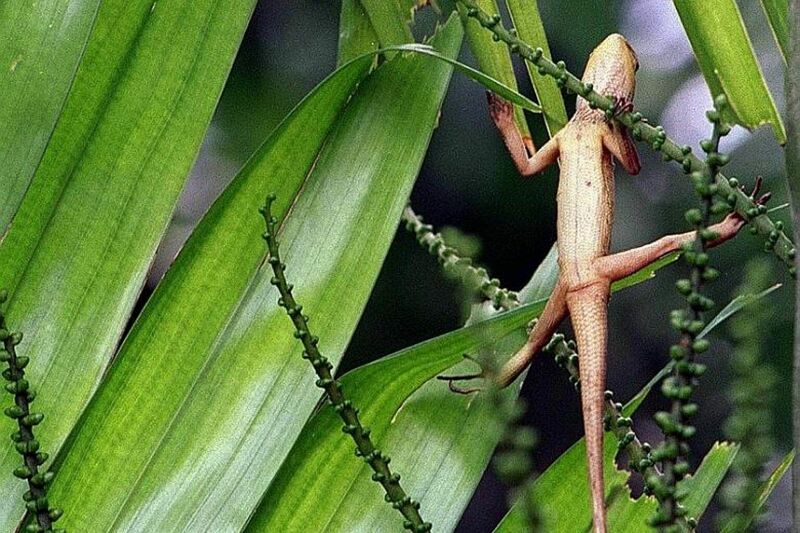 This time, as a nature guide. "Anything I don't know about, I want to learn," said the sprightly 75-year-old, with the attitude she has carried since leaving school just after her O levels, when she was 17. Despite having a place at Raffles Girls' School, Ms Kok was told by her mother then that she had to work to support their family. In 1960, when she was 18, she joined the zoology department of the National University of Singapore (NUS), then called the University of Malaya in Singapore, as an assistant lab technician. "My biology knowledge was only up till O levels," said Ms Kok. "I was into literature, art and painting." Furthermore, she was the first woman to join the all-male team. For her first assignment, she was given a box of thousands of small beetles to sort under a microscope. She recalled with a laugh: "I didn't even know what a microscope was." Yet she was astounded when studying the insects, with their dull black surfaces transforming into brilliant hues of blue and green under the microscope. "It was the first time I was seeing this tiny world," she said. "After joining the department, I realised we had all these treasures." 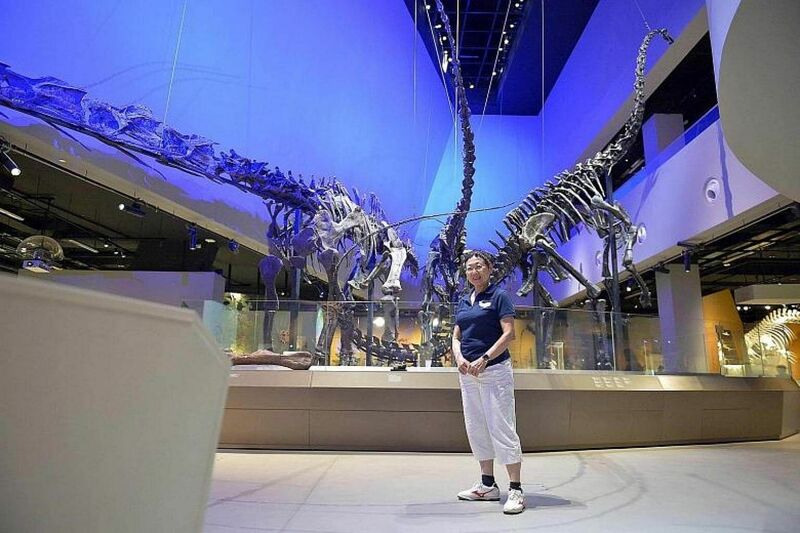 That was the beginning of a 44-year journey with NUS, where she slowly picked up skills such as dissecting and mummifying animals, setting up scientific exhibits and planning research trips. In 1964, she even began teaching undergraduates practical skills, such as how they should stuff animals and collect live specimens. It did not feel odd that she was teaching university students despite not having a degree herself, she said, simply because it was what she was expected to do. In 1986, she also discovered the Calotes versicolor in Singapore, a species of lizard commonly known as the changeable lizard, which had never been seen in the country before then. A news report at the time speculated that lizard eggs could have arrive as stowaways in cargo or as the pets of foreign workers. Ms Kok laughed when asked about that discovery and being featured in the news then, saying that it was "just another thing" in her life. "Being recognised is not as important as doing things because they interest me." She also became one of Singapore's first women nature guides. As early as 1962, she accompanied university zoology students out into the field to show them what to look out for. Around the same time, she began to guide people as a member of the Nature Society, then called the Malayan Nature Society (Singapore Branch). Today, one can still find her regularly leading groups through the Lee Kong Chian Natural History Museum and the country's rainforests and shores. Viewing Singapore's rapid development from an environmental lens, Ms Kok said she has seen tremendous change to the country's natural landscape. She recalled how the development of coastal areas like Tuas and Bedok destroyed the vibrant marine life that used to live there. "We used to go to Tuas to collect coral for the university," she said. "I am very sad that I can't show people what we used to have." If we don't open the spaces, people won't see the natural world and they won't understand, but if you open too much, the natural environment will change. We need to come up with a system where all these places are open to people, but where (nature) won't be harmed. MS KOK OI YEE, on Singapore needing to find a way to balance an increased access to nature with conservation. Yet, she said, Singaporeans have become more mindful of the environment in certain ways. "Kids are more mindful not to throw things, and that we must recycle," she said. "People I guide are also now very savvy because everyone can Google what you're saying." She added: "I love it when kids point out things, like spiders, that the parents don't see at first. The parents are learning with the kids, and the kids are teaching their parents." Ms Kok still thinks, though, that "we still have a long way to go". "I think we need more education in order to fully shift attitudes on things like recycling and properly throwing trash," she said. Ms Kok, who left NUS in 2004 only to be called on to help set up the laboratory in the newly formed NUS High School of Mathematics and Science, where she stayed till 2012, continues working part-time as an operations manager at a marketing firm. She used to climb mountains, loves hiking and, by the end of this year alone, would have gone on nine overseas trips, including one to visit her two grandchildren in Australia. She separated from her husband, now a retired botanist, 26 years ago, and has a son, 49, and a daughter, 47. I think that Ms Kok is an example of the resilience that women in that generation have demonstrated. SOCIOLOGIST PAULIN STRAUGHAN, on the sprightly 75-year-old's passion and can-do attitude. She also maintains an active Facebook presence, and responds quickly to WhatsApp messages. Sociologist Paulin Straughan said that Ms Kok's passion for the environment was unusual for her time. "In those times, progress and development were the main priorities. So certainly, she was very ahead of her time," she said. She added: "I think that Ms Kok is an example of the resilience that women in that generation have demonstrated. " On the future, Ms Kok said she hopes that Singapore finds a way to balance an increased access to nature with conservation. "If we don't open the spaces, people won't see the natural world and they won't understand, but if you open too much, the natural environment will change," she said. "We need to come up with a system where all these places are open to people, but where (nature) won't be harmed."